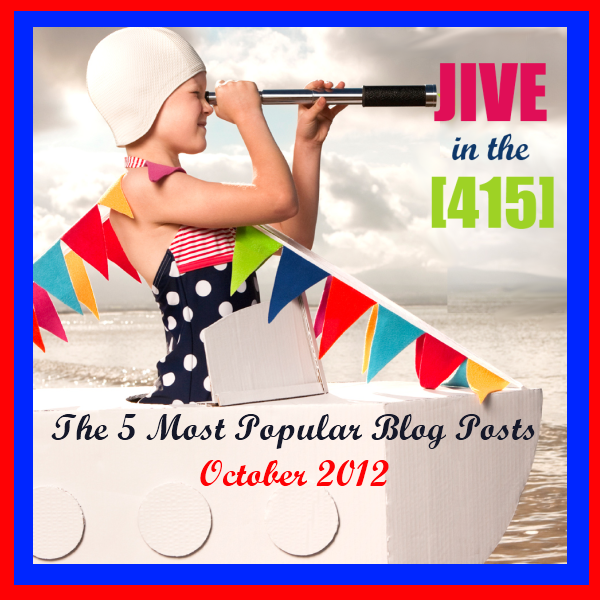 The Jive Five --- 5 most popular blog posts in October 2012 really surprised me. In the short time I've been writing this blog, it's usually controversial subject matters that people click on the most. In October that changed, and it was serious essays about the Presidential election that people read the most, and that really made my day. Over the last few months the number of visitors to this blog has increased over 300%, and I don't know what to attribute the increase in traffic to, because I'm not doing anything differently. There's been an increase in visitors from Asia and Eastern Europe. I'm guessing that non-english speaking visitors have increased due to the translation widget I feature prominently on the front page. But growth has been primarily in the US, and I'm thrilled about it. I just can't figure out what precipitated the spike in traffic. I did re-design the blog, and I hope the site looks better visually. I'm still experimenting with color combinations, and the background image (currently a map of my San Francisco neighborhood) on the website, and I'm still tinkering with different elements in order to optimize the site for all the different platforms people use to visit the blog. The design elements are hard to perfect when you have to consider Macs, iPads, Android tablets, Windows desktops, laptops, mobile devices, linux and whatever new platform is coming down the pike. I'm a perfectionist to some degree, and I get frustrated when I can't figure something out, but I always get there eventually. I must admit that I genuinely like to write, and I'm never at a loss for material. I primarily write about contemporary political and social issues, that affect our daily lives. 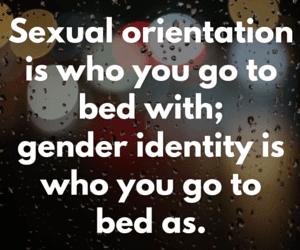 The blog also gives me a platform to bring attention to anti-gay bigotry, bullying, blasphemy, injustice, homophobia, inequality, and religious hypocrisy (just to name a few). The difficult part for me is the technical aspect of blogging. That includes website design, html coding, graphic design, photography, page layouts, fonts, hyperlinks, social networking, and promotion, as all of that's completely foreign to me. 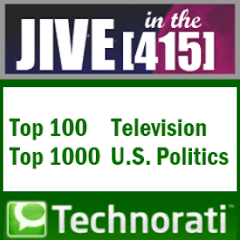 I try to maintain high standards, and I want a site that's visually interesting to look at, with commentary that's different than what you read elsewhere. I know I have a different point of view than most, because my life experiences are very different. I still have a tremendous amount to say, and reveal, in the months and years ahead. To those of you who have been here before, or subscribe to the blog via email, thank you so much for your support! I truly appreciate it! If you are a new reader, welcome! Thank you for joining me on this journey, and please visit the blog again! PS: If you have any suggestions about the design of the blog, color suggestions, or any recommendation or criticism, please send me an email. Marriage Equality: It's A Sweep! Lesbian Rep. Tammy Baldwin (D-WI) Makes History!